Karen Moore has stepped down as the head of Dalhousie’s varsity athletics program. 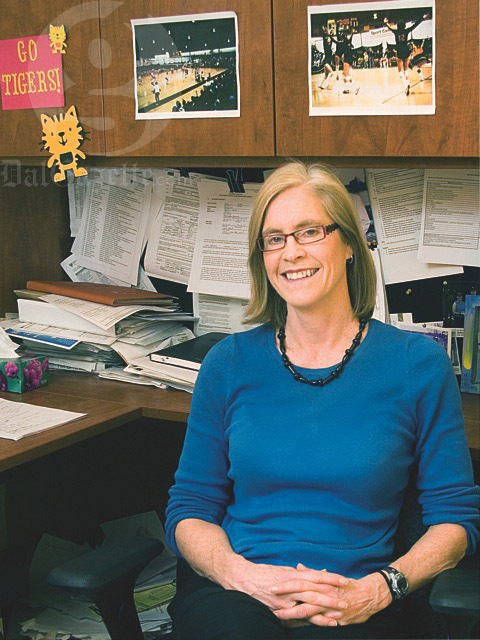 The Dal alumna entered the Tigers front office shortly after competing in the 1984 Olympics as a member of the Canadian volleyball team and went on to spend 30 years in the department in a variety of positions. Moore retired on Friday, Jan. 31. Her decision was made public by the athletics department late Tuesday night. First, as a volleyball coach and sports information officer, Moore went on to become manager of athletics and associate director of athletics, and was twice acting director of athletics. She took over as director, varsity athletics in 2012. The search for Moore’s replacement will begin immediately. Among Moore’s numerous accolades, she won the prestigious A.J. Sandy Young Award for contributions to sport in Nova Scotia and was once named Tigers athlete of the year. She has been inducted to the Dalhousie Sport Hall of Fame and twice to the Nova Scotia Sport Hall of Fame. Moore was a member of the 1982 Tigers women’s volleyball team that won a national championship at home. Moore took a leave of absence from her position last September but returned in January. Zane Robison, executive director of student life, held the acting title in Moore’s vacancy and is currently listed with the same position on the Tigers website. On the evening of her retirement, Moore was in attendance for the Tigers basketball doubleheader.